You might remember fawning over Tom’s Cruise epic action sequences in Mission Impossible 2 where Sydney’s Central Business District, featuring twin 90s high-rise buildings, gained fame as the location in which the scenes were shot. That might have been the beginning of an infatuation with beautiful Sydney and here you find yourself in the midst of transporting your whole life to this entirely new city. From the excellent academic institutions and wide variety of employment opportunities to the top-notch quality of life enriched by the diversity of its people and culture, Sydney has got you covered. But before you fully dive into the excitement of relocating, here are a number of things you might wish to know about Sydney. The main reasons cited for moving to Sydney are for working or for joining families. One most important thing to consider if you wish to get employed in Australia would be to get the appropriate Visa. Unfortunately, it is harder for people to live and work in Australia due to the changes made to Visa conditions in March 2018. Nonetheless, the existing job market in Sydney is generally diverse and remunerative. In fact, there are sites out there showcasing salary ranges should you be keen to check it out: Payscale and Glassdoor. As for job opportunities, the latest Hays Jobs Report has revealed that hiring inclinations in Sydney are towards positions in cyber security, development operations and civil construction professionals or jobs that cannot be automated yet. You can also explore sites like Indeed, Career One, Seek, Career Jet and APS Jobs. Furthermore, Google and LinkedIn are also good places to head to as possible starting points to get yourself a shot at initial interviews. It might be useful to note that the Reserve Bank is a major financial centre. Aside from the aforementioned industries, Sydney is well preferred to be the location of residence for numerous international companies as well as the Australian Stock Exchanges. Once this is accepted, you can then apply for your visa. This process involves filling out a lot of forms correctly without error. So, you need to take your time. You will get called for an appointment, after which, you will be informed if it was accepted or not. For more information, you can go to http://australiaworkpermit.com.au/about-us.php. Sydney bears the reputation of being among the top 10 most expensive cities in the world to live in, according to The Guardian. However, that doesn’t mean the housing and cost of living is so unaffordable that you will be cast to the streets. For a breakdown of expenses which includes food and necessities, Expatistan gives specific examples based on the 2018 updated prices. Also, there are articles online providing tips on saving costs by preparing before you make your move. And though it is generally a rather expensive affair to eat out in Sydney, it is possible to save costs by going to cheap places to dine. The prices mentioned above are in accordance to a recent article on News.com.au. It is most important to have done research before relocating to Sydney with your children. The education system in Sydney/Australia is stellar as seen from how it is ranked 25th in math, 16th in reading and 14th in science according to the 2015 Programme for International Student Assessment (Pisa) survey. The education system is divided into 3 types, being NSW Government operated schools (in the States these would be public schools), Private Faith (Catholic, Jewish, Anglican) schools and Independent Private schools. For highly populated suburbs of Sydney, the Government schools have strict enrolment zones, otherwise known as catchment zones for high schools in Sydney. It is also important to understand the the Sydney education syllabus and curriculum. It is important to note that international schools are the most expensive as compared to other Sydney education options but there are benefits such as giving the child the opportunity to study their home curriculum (subjected to availability) as well as the International Baccalaureate (which is an internationally recognised curriculum). This reduces disruption in the child’s learning during relocation. There are a lot of available schools for foreigners, known to give the best education, so you can rest assure. For additional help, you can visit sites like MySchool and NSW Department of Education. Imagine cruising down the stretch of road down in Grand Pacific Drive. A brand new country, fantastic scenery, your hair flapping wildly in the wind — all accompanied by the delightful smell of the ocean breeze. Aside from how cruising around in Sydney can help you achieve that desired Australian dream, being able to drive in Sydney also serves incredible practical purposes as well. The first thing you need to know is if you are qualified to apply for a driver’s license. If you do not possess permanent Australian residency but will be in NSW for more than 3 months, you will have to apply for a Temporary Overseas Visitor licence. The age requirements for the issuing of a NSW license would be the minimum age of 16 years old for a learner driver license, 16 years and 9 months for a learner rider licence and 17 years for a provisional driver or rider licence. For those with overseas license, you may be required to pass medical and driving tests. Licences issued in line with the NSW Graduated Licensing Scheme will need to progress through each stage as required. In order to apply for a NSW license, you will have to personally attend a service centre or registry. Once all of this is done, you will receive a temporary paper license until your new NSW license card is posted to you. Generally, Sydney has great health care systems that are fit to cater to the needs of everyone. Medicare is a free service that is offered to Australian and New Zealand citizens and permanent visa holders. This actually largely covers or largely subsides treatment by general practitioners and hospitals. The trend for permanent resident expats is that they rather possess private health insurance to cover the cost of private medical treatment. In response to this, it is possible to transfer their health insurance from back home to an Australian insurance fund. Also it is important to note that pharmacies are commonly known as chemists in Australia. They are convenient and easy to locate in Sydney and are usually open to 10pm or even midnight, with a few 24-hour pharmacies. Medicare is beneficial to eligible Australia residents, as it offers free treatment to patients in a public hospital. Also, it helps in reducing the cost of total expenses. Medicare also gives users access to free medicine and cheaper access to health care. You can get Medicare if you are a legal citizen, have applied for a permanent resident visa, or are visiting from a country with similar medical arrangements. These countries include: New Zealand, the Republic of Ireland, the United Kingdom, the Netherlands, Sweden, Finland, and Italy. Medicare is also open to those with a visiting visa from these countries for 6 months. Unfortunately, it doesn’t apply to a student visa as students are meant to apply for their overseas student health cover. Once you have been approved, you will be given a Medicare card that you can show when you visit the doctor. This way, you have a discount with every visit to the doctor, plus, you can decide to visit a Bulk Billed doctor. Bulk billed doctors are already paid by Medicare, so you won’t need to spend more money. There are also services for mother and child support, which involves educating new moms on child health. You will be well informed on everything regarding the proper growth and health of your baby. This ensures you and your baby are in good health. Sydney is overall a very safe city, ranking 10th out of 162 on the ranking of the safest country. It has low overall risks involving crime like pickpocketing, mugging, theft, shootings and killings. However, it is important to beware of King’s Cross, which is Sydney’s most assault and crime prone area. King’s Cross is rife with drunken behaviour where brawls occur often. However, as long as you steer clear of that area, Sydney is a relatively safe place to live in. 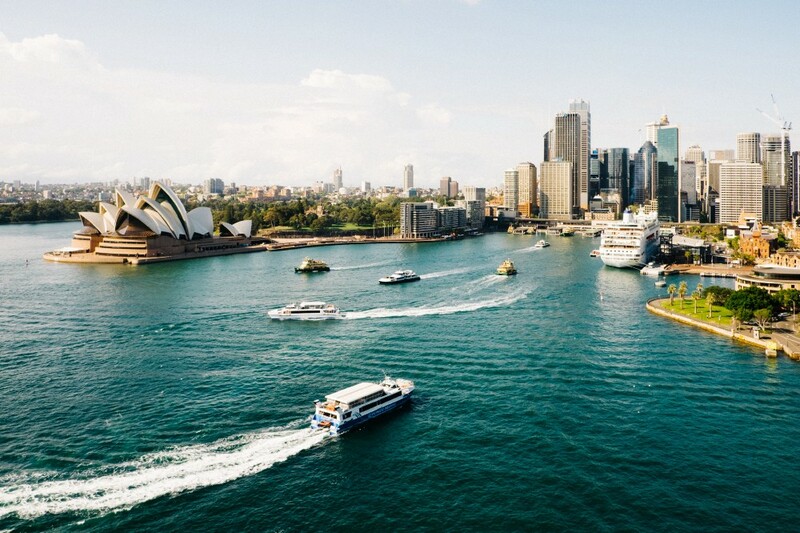 Sydney is a melting pot of culture where the city is made up of many diverse suburban pockets. A stroll through food places would provide sights and smells of multicultural food and practices. Else, we have well-known hipster cafes embedded in the city for a different type of vibe and to accommodate for those with different taste buds. Arts in Sydney can be categorised into exhibitions and museums or street art. To be updated about events and exhibitions, you can head down to TimeOut, Concrete Playground and The Urban List.